A (Sorcerer): cape with collar, tie-band and pointed hat. 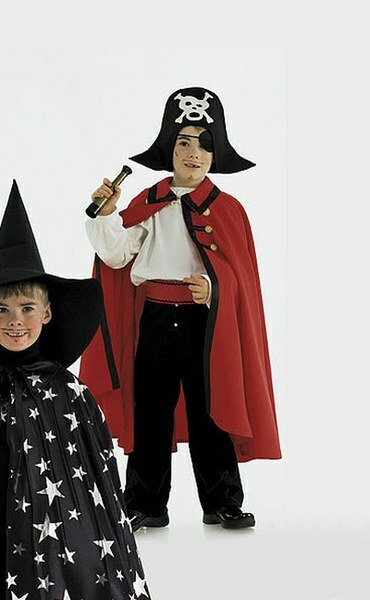 B (Pirate): cape with collar and trim. C (Devil) lined cape, with hood and horns.